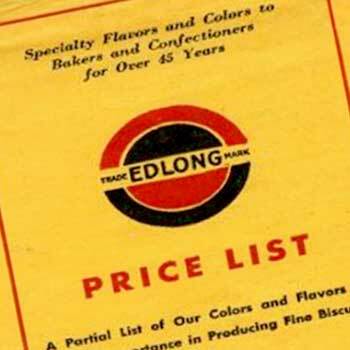 More than a century ago, Edlong® was founded to help bakeries improve their products. Today we are global leaders in dairy and dairy-free flavors, committed to helping food and beverage manufacturers innovate faster, for authentic-tasting, consumer-pleasing products. John B. “Jack” Bremner Jr., son of the youngest of Ed Long’s original partner brothers, buys the company for $63,000. He relocates the business to 340 Huron Street in Chicago and continues the business’s mission to provide specialty flavors and colors to bakers and confectioners. Jack Bremner realizes he needs new, updated flavors to grow the company.  He hires Chicago-area flavorist Gene Rondenet to join the company with a starting salary of $13,000. 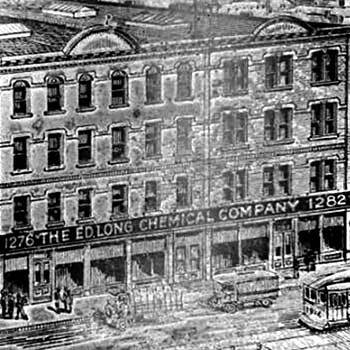 1965: Gene is given the right to purchase shares and he gains majority control of Edlong. 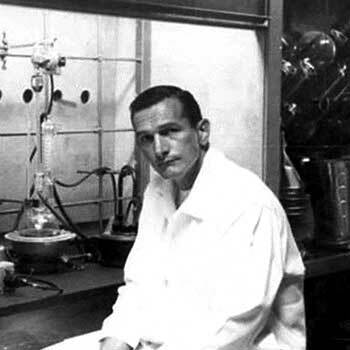 1970s: Throughout the decade, Edlong innovates proprietary processes for biotechnology using dairy building blocks to produce flavor emulsions. Business booms. 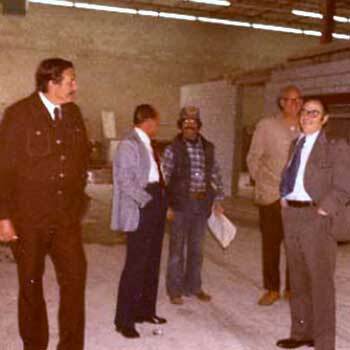 1972: Edlong expands operations to two buildings in Elk Grove Village, IL. 1977 : Discussions start about developing a manufacturing site in Ireland. 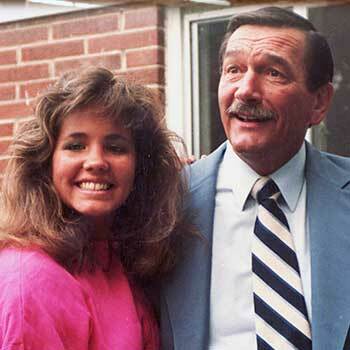 1993: Gene Rondenet invites his daughter, Laurette, to join the business. Meanwhile, risky investments put financial stress on the business. 1997: Gene and Laurette turn the company around and in the same year Edlong is honored as the top supplier of premier dairy flavors and ingredients. Edlong would win this award again and again. We are scientists and artists, seekers and creators. No other company shares our passion or commitment to creating the world’s best-performing dairy flavors. 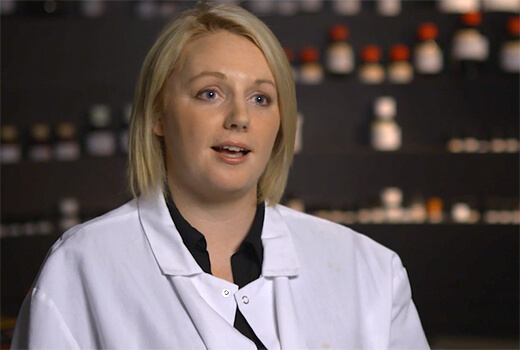 Edlong balances science and art to craft exceptional and versatile dairy flavors that enhance taste and mouthfeel. We assist customers at every stage of product development, offering technical collaboration and formulation expertise. Our mission is simple, yet ambitious: to enrich the lives of everyone we touch. We are dedicated to solving even the most difficult product formulation challenges. We develop authentic flavors that broaden product appeal while reducing costs including cheese, butter, milk & cream, cultured, sweet dairy and functional dairy flavors in a variety of solubilities and forms. Nearly half our product line is natural, and includes several products that are dairy-free, vegan, non-GMO, Kosher Pareve Certified, Whole Foods-Compliant and/or Organic Compliant. When you work with Edlong you not only get unmatched dairy flavors, but a team that truly cares about our customers’ successes. Every one of our employees, from receptionists and flavorists to customer service representatives and forklift drivers, work together to ensure that our products are formulated, packaged and delivered in a way that consistently exceeds your expectations. Quite simply, our responsiveness, reliability and strong relationships is our promise to you. Edlong is different from any other flavor house—and not just because we’re the only one that focuses exclusively on the finest dairy flavors. We treat our customers like family, and naturally build long-term relationships. We’re proud of our 99% on-time shipping record, but it’s that 1% that inspires us to try even harder. And we delight in hearing the smiles on the other end of the phone, every time we successfully combine science and art to create authentic flavors. At Edlong we are committed to managing our business in ways that put you first. 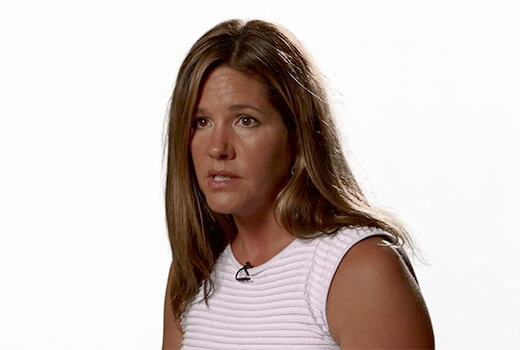 This commitment is rooted in the core values that guide the behavior of each Edlong employee. Our formula captures the unique way we approach our work with each other, and with you. Our Formula captures the unique way we approach our work with each other, for you. You do not work alone. Understand how you are connected to customers and colleagues. Quickly and freely offer and accept support. At the end of the day, we will rise or sink together. You are here because you are needed. What you do matters to customers, colleagues and the company. Do your job to the utmost of your ability and realize your impact. We communicate honestly and with respect. Strong relationships are built on trust. Trust develops through openness, honesty, compassion, friendship and loyalty. Handle tough issues quickly and directly, but always respectfully. You can improve anything in your pursuit to create value for our customers and company. Look for waste and ways to do things faster, simpler and better. Act promptly when a better way is found. We enjoy victory and grow from defeat. Freely share the joy of success. When things go wrong, reflect and learn from the experience. Apply the valuable lesson to future opportunities. Never stop learning. 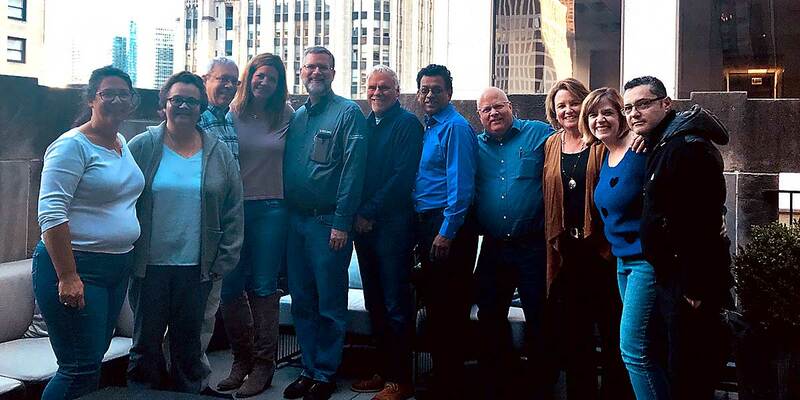 The Edlong® leadership team lends its vision to our organization, and each of the team’s dedication to excel reflects the values we cherish in our organization. We aim for authenticity in our products and in how we do business.